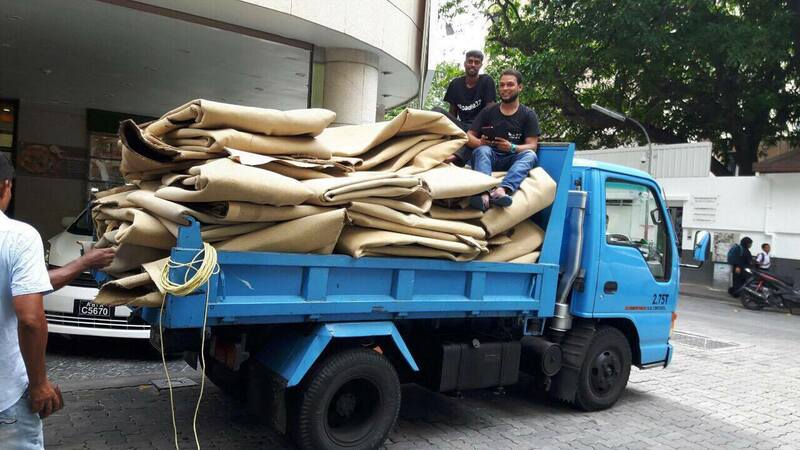 Hotel Jen Male’ Maldives donates carpets to Ministry of Islamic Affairs. Hotel Jen Male’ Maldives current remodelling of the rooms and ballroom will benefit the Ministry of Islamic affairs with twenty-four rolls of usable carpet, that has been donated to Ministry of Islamic Affair today. With the help of Ministry of Islamic Affairs, these carpets will be used in the numerous mosques located in Male’ city and the islands thus helping to make the mosque facilities warmer and more inviting for Muslim worshipper in this auspicious month of Ramadan where during this time, mosques get the most number of people visiting to use it for their daily prayer hence these carpets will provide an added comfort. Hotel Jen Male’ Maldives receives so much support from the community that we are delighted to give back in such an impactful way said Mr. Salim Abdoolcader ,Director of Operation at Hotel Jen Male’ Maldives.” “We believe good actions give strength to ourselves and inspire good actions in others, therefore Hotel Jen, striving to be a model corporate citizen is proud to contribute to the local community in ways that give purpose and meaning”. Hotel Jen Male’ Maldives has always been committed to giving back to the community through material, time and monetary donations to make innovative social contributions, leveraging on its expertise and management resources as well as the broad range of knowledge and experience possessed by its colleagues to make a broader and more profound contribution. Organisations like Kuda Kudinge Hiyaa, Cancer Society, beautiful eyes Down syndrome association and Disability center in Guraidoo have benefitted from Hotel Jen within the past years. 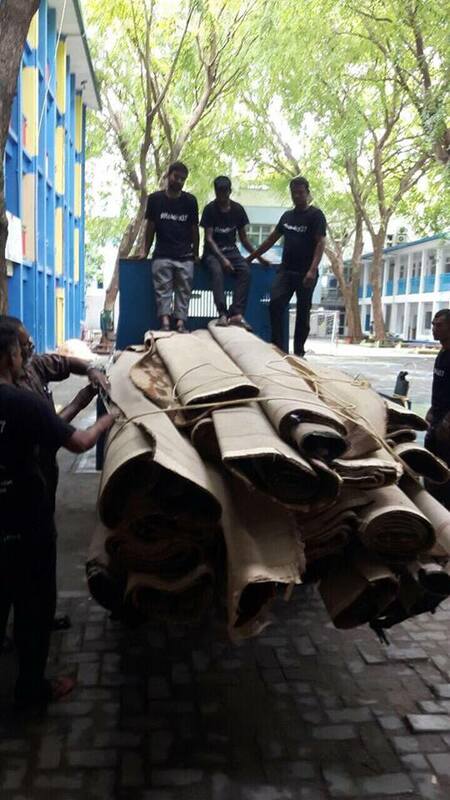 “We are so thankful for Hotel Jen Male’ Maldives generosity” said the Islamic Ministries Executive Mohamed Rasheed Ibrahim “the carpets we received will augment the mosque aesthetic tremendously and are able to make a more comfortable praying space for the people of the Maldives”. The management and the Staffs of Hotel Jen are passionate about societal concerns and giving back to the community. Hotel Jen assures that we will continue to support by helping the community.